Dermot Bolger movingly remembers his friend the poet Michael Hartnett who died 16 years ago this month. This is an edited version of a commemorative piece which appeared in The Irish Times on Wednesday, October 12th 2005. In Ireland there is nothing better for making new friends than an early death and, because in death Michael Hartnett has acquired so many friends, I should firstly say that I didn’t know him well enough to claim any special friendship. I was far younger than him and even though I edited and published three of his books I never lost my awestruck sense of being privileged to be in his company. I was a sensation I felt as a young man on the first night we met and a sensation I still experienced on the last morning he phoned me some weeks before his death on October 13th 1999. The first book of poems I bought, while still a schoolboy, was the small New Writers Press 1970 edition of Michael’s Selected Poems. On the cover he looks little more than a schoolboy himself. That book had a huge effect on me and remains among my most precious possessions. I first met Michael around 1980 when I ran literature events in the ramshackle building housing Dublin’s Grapevine Art Centre. 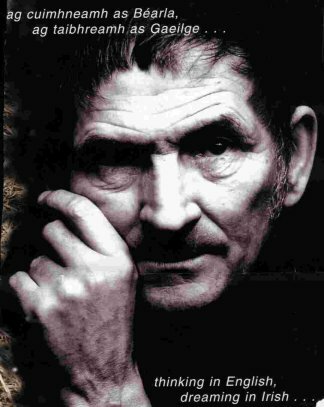 John F Deane had bravely established a new organisation called Poetry Ireland, and Michael travelled from Limerick to give a benefit reading for it. his opening words to me were to inquire if I knew of a bed for the night, and my opening words to somebody whom I viewed as a hero was to offer him one in Finglas. In 1984 I wound up sitting in a pub between Michael and Michael Smith, who had published that earlier Selected Poems. Both Michaels became emphatic that not only should I re-issue the long out-of-print Selected Poems, but that the new volume should include every English language poem he had written up to and including his Farewell to English. Michael Hartnett assured me not to worry about copyright issues, he would take care of that. I was young and naïve, but even in my innocence I should have been slightly worried when he explained how he cleared copyright permission for his wonderful translations of Lorca’s Gypsy Ballads. He phoned Lorca’s brother in New York, explained that he was once deported from Franco’s Spain and after he had read aloud one translation the voice at the other end said, “Spread the word”! 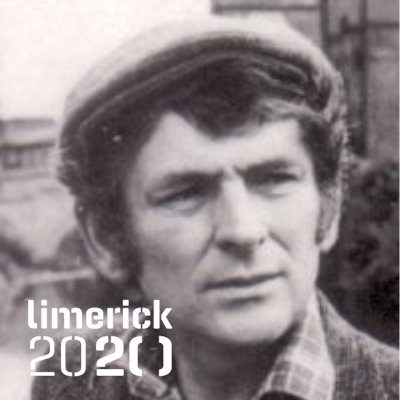 Within a few months I was sitting down in his small cottage in Glendarragh, Templeglantine, near Newcastle West in Limerick going through old suitcases of poems with Michael and discovering material either never published or published once in magazines and then forgotten. I spent two of the most memorable days of my life there working on Volume 1 of his Collected Poems and still like to recall Michael as he was then. After the executions of the Easter Rising leaders in 1916, a British Army officer declared that while they all died like men, Thomas McDonagh died like a prince. Wandering with Michael through Newcastle West or sitting down to eat with his family, I felt a similar sense of being in the presence of a man who, while an integral part of the small community which he loved and understood, was also marked apart as special. But soon the world that I had glimpsed in Newcastle West was to implode. Alone in Ireland while his family visited Australia, Michael seemed to drift irredeemably into the engulfing tide of alcohol that had always been a problem. Aware that he had the proofs for me of some translations, I tracked his progress across Ireland and finally located him and the proofs in Dublin. He handed me the proofs carried for weeks in his inside pocket and, ever the optimist, asked if by any chance I could loan him €5,000. Soon he was living in a bedsit in Inchicore with his marriage over. His face, which had never aged, was suddenly old. His chief defence against fate remained his sense of humour. I brought him over some small sum of money for something. There were virtually no possessions in that room where he had started writing the Haiku sequence that broke his silence in English. But his sense of hospitality would not let me leave empty-handed. He asked if I possessed a copy of the tiny 1969 edition of his poem The Hag of Beare and insisted on giving me the only copy he still possessed – Number 1 of that precious numbered edition. He brought the manuscript of Inchicore Haiku to my small office in Phibsborough, driven over by two new Inchicore friends with impenetrable Dublin accents. We launched it in the Richmond House in Inchicore, a whirlwind night. But if that was a celebratory night in a crowded pub, which cloaked his personal pain displayed in the book, I saw far less happy occasions for him in Dublin pubs in the following years. I know of nothing romantic about drink and the damage it does. I do know that his new partner, Angela Liston, prolonged his life and brought some stability to a man now gripped by addiction. Occasionally after that, he would phone for a chat. On the last morning he phoned, he told me how he had recently visited one of the men who drove him to my office years before. The man was dying of cancer, his mouth covered by an oxygen mask, and he grew upset because the words he kept trying to say were indistinguishable. The man gave up trying to speak and laughed instead. It takes courage to make a dying man laugh, but Michael Hartnett had courage in spades. Courage, stubbornness and demons. I had no idea he was soon to die, but something made me tell him that one of the proudest moments of my life – something I could unreservedly look back on as truly worthwhile – was editing his Collected Poems. And I am blessed by you Angela Liston. He died on October 13th, 1999. His Complete Poems and Translations have since been superbly edited and published by Peter Fallon and The Gallery Press. When I last passed through Newcastle West I stopped at dawn in Maiden Street where he was reared. It was deserted but every shop window had a poster for Éigse Michael Hartnett, with his haunting quizzical eyes staring out. Those eyes and that voice haunt me still.